This is an article to explain quickly the differences between OpenGL for desktop GPU and OpenGL ES(2) for Mobile GPU. You need some OpenGL or 3D API background to understand what it’s about. Some rendering with OpenGL ES 2: 4 passes and 4 shaders are used here. Everything in this document is both from OpenGL documentation, specific GPU documentations, and my own experience testing with any kind of models. No, the OpenGL ES driver will not be corrected by a system update in the future. If you were used to hope for drivers updates on desktop to correct a bug or manage something differently, you have to know that GLES drivers are done once and for all for a given mobile GPU, quite often stands in ROMS and not in the system, and that basically the system (android,…) does not manage that part. and the GPU builder does not care because they just does no support after release. Writing on FBO, and using glViewport() and glClear() differ *Totally*. Framebuffer Objects (FBO) is the official way to create offscreen bitmaps and offscreen rendering, and you can link them to a texture Id. glBindFramebuffer() must be followed by glViewport() and glClear(), if not it will crash on most Mobile GPU. You cannot “come back” to a FBO and continue drawing. glClear() will clear the whole FBO, not the rectangle given by glViewport(), unlike classic OGL. You absolutely can’t do one glViewport() on half the screen draw, then glViewport() the other half and draw again: impossible on all ES. Due to this, you should always give the whole rectangle to glViewport(). (Due to 1 and 2) You must render your offscreens FBOs at the beginning of a frame, and then only begin to draw the screen. A nice idea is to have a list of off-screens to render with delegate functions/methods, so your program will automatically “sort” the order of your drawing needs for a given frame. There is a very wide list of texture pixel internal formats on classic desktop GL, that describes both the encoding and number of component: this is not re-used at all on OpenGLES(2), because you must have components and encoding separated. So glTexImage2D() have to be used differently. Read your GPU documentation about it. …Then by using the ePixelFormat enum in my code, I can stay compatible on desktop and mobile. For both Mobile ES and desktop OpenGL, a “2” or greater version number means it is a Shader-based architecture that needs a vertex Shader and pixel Shader to draw something. If you want to use the real power of your GPU, you have to use shaders. And if you want shaders on mobile, you’ll have more code to do than with OpenGL 1. Basically in OpenGL ES2 and OpenGL3, every GL functions that could be also done with shaders using using “attributes” and “uniform”, were removed. So every glMatrix functions were removed, you have to declare your own uniform matrix and apply them your own way in the vertex shader. It implies you have your own translate, rotate, multiply, etc matrix implementations… extra SDK often offer their (NVIDIA Tegra SDK, any open source engine,…) I did my own. It’s always useful to patch 4×4 float matrices in a way or another. 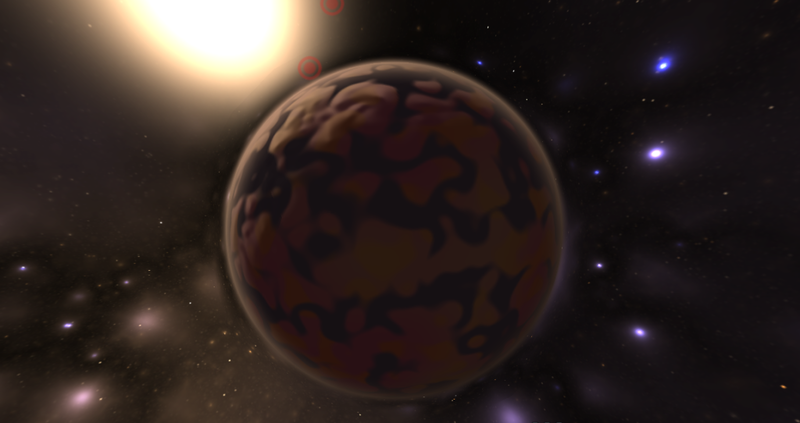 OpenGL ES2 GLSL Shaders are a bit differents compared to classic GLSL. a. Your Mobile GPU is far more powerfull than the ARM FPU: It’s always better to have computation in your Vertex Shader rather than in the CPU Float code. Think about it twice, you can have “quite big vertex shaders”, there is no problems. b. You can’t read textures in vertex shader under OpenGL ES 2. Arggg I hate that. It actually would have been the coolest thing ever, some (rare) mobile GPU and drivers actually does it, but you want to be compatible. … This precision thing only exists for ES shader and is mandatory. It is meant to be powerful, because lowp would be enough for copying 8bit textures and highp would allow more nice rendering. This is the default main precision of your shader, but you can then declare for each variable any lowp, mediump or highp precision. Theorically, it will finetune the compilation of the shader. But complex shading will need highp to really work. Some glitches are sometimes caused by mediump. Even if modern Mobile hardware got huge memories, Androids and other systems are still widely ” One App Focused at a time” based. Before Android 3, Every OpenGL app had to completely free all textures, FBO and VBO each times the system was paused, and you had to re-init all of these when the App restart. Even the screen-rotation-with-sensor implied to do all of that, and for a game with many textures and FBO, it was a hell, not mentioning you are meant to manage GL in a special thread… that the main thread will actually kill your context *before* sending the message on the other thread. Android “Activity” class has special messages about it. Hopefully, Android 3 introduced setPreserveEGLContextOnPause() which will just prevent that behavior… in most cases. Because yes: you still have to manage the “destroy and recreate the GL video memory, but you can keep the rest” thing. and you know what ? it’s great to do that. I have 2 level of creation/ destruction messages in my whole engines , one for video memory and the other for CPU memory. As I can compile for destop and mobile GL, it also resolves the nasty windows and OSX bug in SDL that destroy the context when you change the size of the screen. That’s all, have a nice code.